NEW DELHI: Finance Minister Piyush Goyal on Friday announced direct annual income support of Rs 6,000 to farmers with land holding of two hectares. 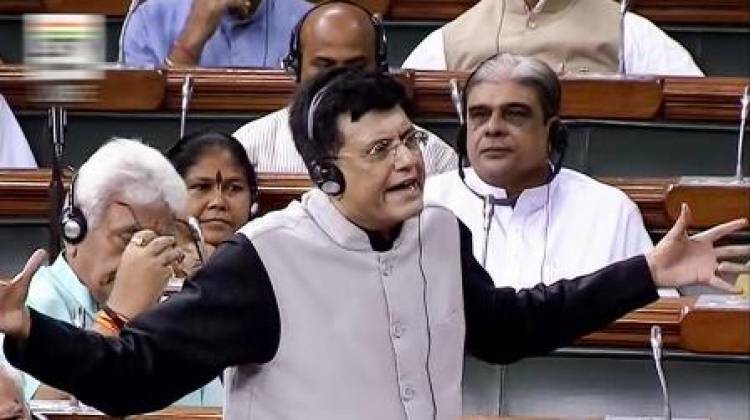 Presenting the Interim Budget for 2019-20 in the Lok Sabha, Goyal said the Pradhan Mantri Fund Scheme has been constituted with an aim to double farmers' income by 2022. He said Rs 75,000 crore will be allocated for the scheme for 2019-20 and Rs 20,000 crore has been set apart in the revised estimates for the current year 2018-19. The money will be transferred in three instalments through direct benefit transfer. The scheme, to be implemented from December 1, 2018, will be notified shortly. He also said that Rs 1.7 lakh crore has been allocated on food subsidy and Rs 60,000 crore for the Mahatma Gandhi National Rural Employment Guarantee Scheme.